An Instrument of Aloha: Remembering Ernie Cruz Jr.
Ernie Cruz Jr. is a friend of mine known mostly for his memorable voice and the era of Hawaiian music he helped start and contributed to along the way. As a musician and friend I am also a fan of his. I am lucky to know him. But Ernie was more than his music. He was just only getting started. I want people to know this. Ernie was just coming into his own. Ernie sat on the board of an organization I serve called Kuaʻāina Ulu ʻAuamo or KUA. 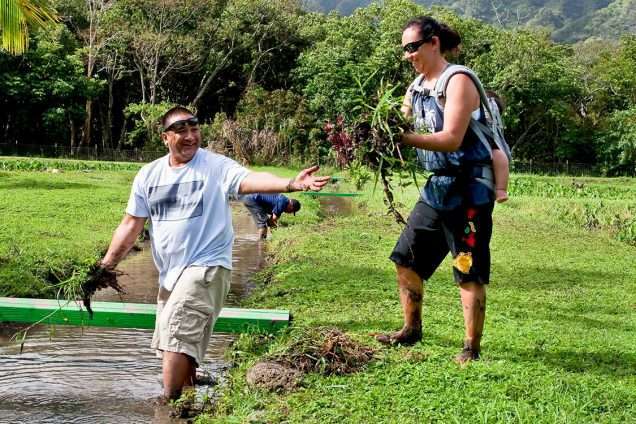 KUA serves as a backbone for statewide rural and Hawaiian community mālama ʻāina networks to gather and learn from and empower each other. 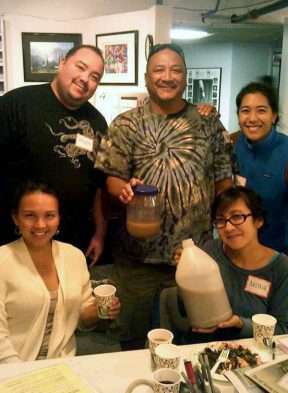 Ernie would simply say that he loved Hawaiʻi and that this was what the people we work with were all about. 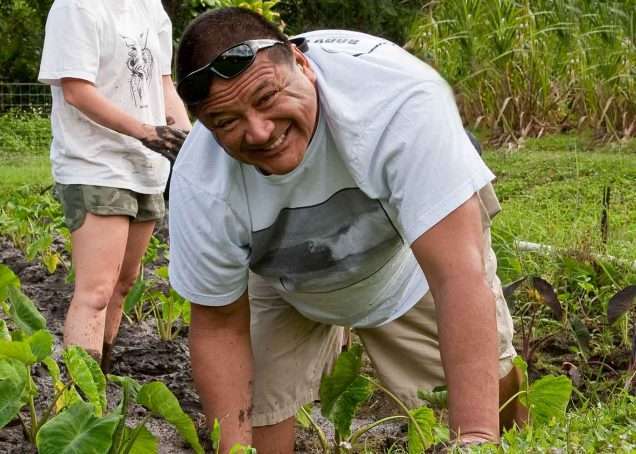 This was the foundation of aloha that Ernie worked from: Caring for Hawaiʻi. Ernie believed common people could make a difference. It is common local people he cherished and played music for. 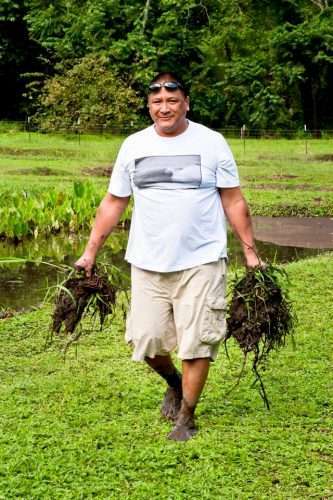 Ernie was no perfect person, like all people he was a complex human being who endured his own struggles, but from them he cultivated a depth of wisdom, a sense of humor and aloha. Not everyone does that. He was shaping a special narrative. Ernie had an ability to dig deep both in his sense of humor and in speaking to issues everyday island people struggle with. Ernie and I had planned to take this narrative out as a road show for our community to help us all speak to and about each other, our environment, and our collective trajectory. For musicians our instrument often serves as a safety mechanism we hold in front of ourselves. An instrument allows us to interact with a collective spirit but also guards us from a depth of social interaction when we are anxious. The sounds we make and the instruments we hold before us serve as a barrier of protection and sometimes allow us to engage without engaging. In recent years, Ernie had begun to speak more frequently without an instrument in hand. In my mind’s eye, Ernie was becoming an instrument of aloha. This desire to always grow and evolve is why I grew to love and admire Ernie as a friend. As a part of this growth Ernie also began to testify at hearings and accommodate community members to events to help build collective will and confidence. Ernie was growing into and embracing new roles in life. He recently married into a beautiful family. This kind of love is what made him even deeper. Recently, on a call, one of his best friends, in grief described exactly what I am saying here: Ernie was expanding his life experience as a human being and extending his aloha to a special woman and child and to a growing movement to empower people to love and care for Hawaiʻi. We were lucky to know him at this time in his life. Just before Ernie left us, during a time when our network participants gathered with their international peers at the World Conservation Congress Ernie sent me texts from Japan to ask how things were. The texts included a joke about the fancy toilets in Japan, a statement of appreciation that his wife and hanai son had joined him, a picture of a concert he played for a thousand or so and films and comments of a sumo tournament. A week later the ocean would take him to rest at his favorite surfing spot. Ernie, spent his last days doing all the things he loved the most. I want my friend back, but I also want people to know this. If my friend were to leave I would wish that he experience all the things he loved most. Personally I will also miss his belief in me. It is not often musicians get to make music or make a difference with those who made a difference in their life/music. When Ernie called me on occasion, he would call to express his faith in me and the work KUA does. These calls always lifted me up and weighed heavy as well. It is rare to have someone you look up to say they look up to you too. As a football coach at my alma mater (J.B. Castle High School) this year we recently ended our football season. In closing their lockers and cleaning their equipment the boys played their big radio louder than usually pleases my ear. That day, it was pleasing though. 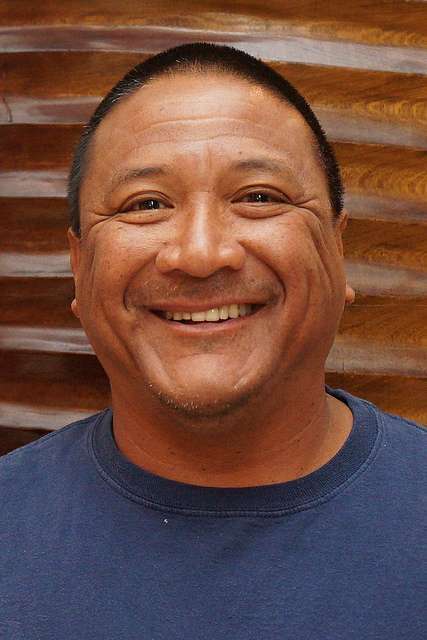 The voice of Ernie Cruz Jr. reverberated in the halls of the athletic facility. The boys sang along. They will always know the man’s voice, I wish they had had more time to have met the man. Today our office is quiet and somber. We long not today for Ernie’s music. The songs will remain. We long for Ernie the man, the husband, the father, the board secretary, the urban kanaka and his voice, his laughter and his presence. Hawaiʻi now can only long for the potential Ernie had yet to discover. This is what I feel Hawaiʻi will miss most about Ernie. This entry was posted in Uncategorized and tagged Ernie Cruz Jr.. Bookmark the permalink. Nicely said Brother Kevin!!! He will truly be lost but never forgotten. Every time I saw him he was always so gracious and always a lot of aloha!! !